LOCATION ,LOCATION. Legal duplex with two electric meters. All units rented . 1 Bed 1 bath at rear is rented at $950 per month ( tenant pays own electric) on 12 month lease. Front unit rented to one family at $1500 per month on 6 month lease and they also pays own electric. so total rent roll of $29,400 . Water – approx $2500-$3000 per year Taxes – $4515 Annual Insurance . Owner has an umbrella policy so buyer would have to get their own estimates. Yard maintenance minimal . 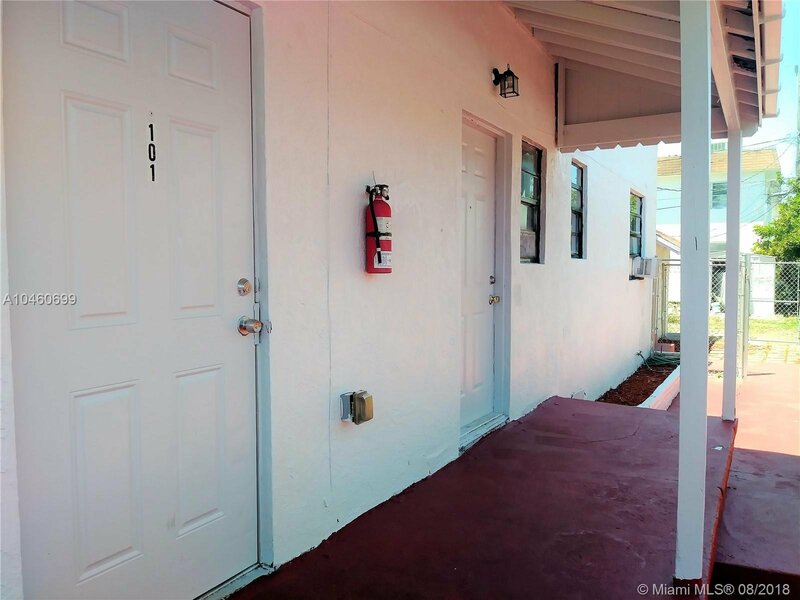 This property has huge potential for any seasoned investors or a first time investor. Close to everything , Beaches , Downtown Hollywood, All major Highways and Airports. Great rental area for great returns. The property can be improved for more capital appreciation and more rental incomes.